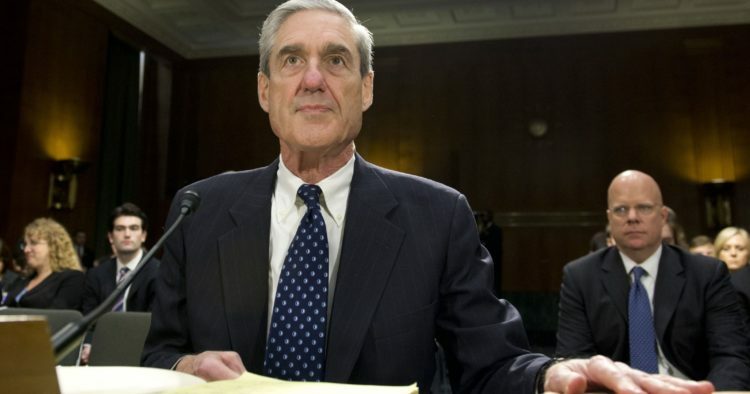 There have been a series of rather serious issues that have popped up surrounding the Robert Mueller investigation into President Trump and potential Russia connections that may have influenced the outcome of the 2016 Presidential connection. The President of Judicial Watch, a conservative-leaning watchdog organization that works to keep the government in line, recently hopped on Breitbart News Daily on Sirius XM. Tom Fitton then went to the station to explain some troubling developments regarding the investigation. “You’ve got these anti-Trumper activists at the heart of Mueller’s investigation, and I think, in a way, Mueller’s subsequent cover-up and keeping this gentleman on, who was sending these emails and is pro-Hillary Clinton, keeping these partisans on has irredeemably compromised him and his investigation, irredeemably compromised it,” he said during his interview. He was referring, of course, to Andrew Weissman, who is “a key prosecutor on Robert Mueller’s team” and had previously praised acting Attorney General Sally Yates for not defending Trump’s travel ban. Oh, and he had also attended Hillary’s Election Night party, that quickly turned into a wake. Then there was Peter Stzrok, who was having an affair with someone else at the FBI and exchanging anti-Trump texts with her, which included calling him an “idiot” and referring to a “backup plan” that many say is related to the Russia investigation. Sounds like they have some objectively reliable people that you want to engage in an investigation against the President. There is clearly no way that this could go wrong or be tampered with at all. I am all for this investigation because it will prove one of two things: Either Trump had absolutely nothing to do with the Russians and the liberals need to shut up, or a foreign power meddled in our elections and we need to watch for that more carefully in the future. Either way, it’s going to end and either vindicate or condemn Trump and we just have to wait to see how it pans out. However, we can’t have biased people working with those who are attempting to get to the bottom of this. This needs to be as transparent as possible so both parties can accept the outcome, but how are we going to get there if we have politically-charged meddling? Both sides need to step up and demand integrity in this investigation, so we can just get it over with.